In a small bowl whisk the olive oil, lime juice, chili powder, cumin, paprika, salt/pepper. Add the fish, and let marinade for a couple of minutes. 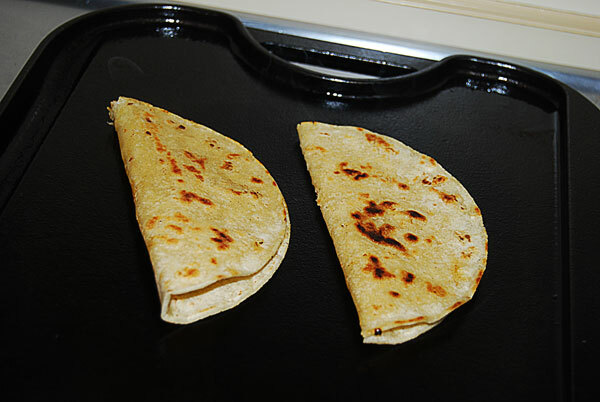 In the meantime heat a pan, and toast the tortillas over medium high heat. 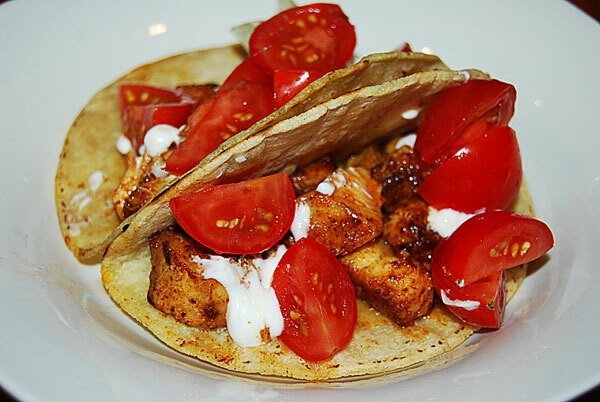 Add fish and all marinade to a non-stick pan over medium heat, cover and cook for 3 minutes. Give the fish a stir, cover and cook for 2 more minutes. 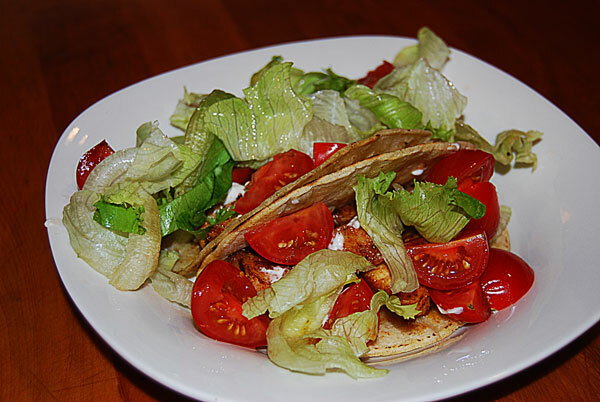 Serve on the toasted tortillas, with yogurt, lettuce and tomato.